Nicholas Bloom is a Stanford Professor who, like many others, wanted to know if it was possible to really quantify remote working productivity. Unlike the others, Nicholas Bloom and his team found out how to measure performance improvement, and the findings are significant. Professor Bloom set up a controlled environment of call center employees in which one group of employees worked from home for nine months, and the other group worked from the office. This way Bloom and his team could better compare the performance of both groups and gain a better understanding of what productivity improvements were really possible. His discoveries were compelling - the employees who worked at home were indeed more productive. Professor Bloom’s results are hardly unique. Many companies have experienced similar results, but in order to reap the rewards of the many benefits that work from home provides, you need to have the right technology in place in order to make a work from anywhere program successful. VIWO is a multi-million dollar subsidiary of a publicly traded company on the NYSE : NEWM GateHouse Media, which provides Google technology services across the United States. VIWO has been allowing its employees to work remotely for more than seven years now with incredible results. 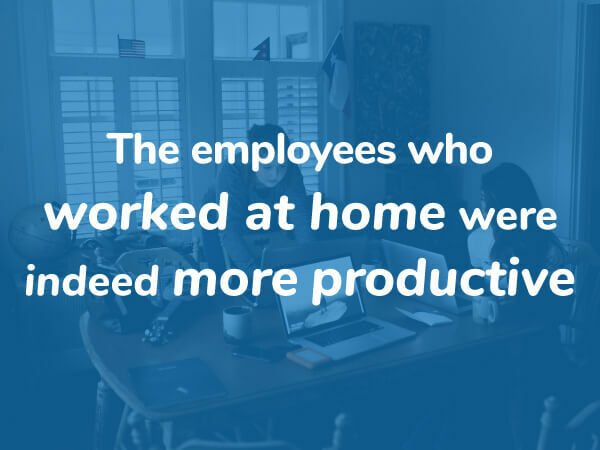 Employees now work from home a couple of times a week, with some even working remotely every day. VIWO is a California-based company, and a majority of its employees are millennials. The average tenure of a VIWO employee is just over five years, which is remarkable given that the average length of tenure at other technology companies is about three years, based on results tracked by payscale.com. By allowing their employees to work remotely, the company can access a wider pool of potential job candidates. This strategy means it can find and hire quality talent from all around the country, coming from areas as far as Florida, Michigan, Texas, Georgia and New York. Further cost savings have become possible by taking advantage of lower cost-of-living regions where employees can be hired at a rate that is almost fifty percent less than comparable costs of hiring a California employee and paying them a comparable market wage. But in order for a work from home policy to be effective, the correct type of technology stack must first be in place. According to former Harvard Business School professor James Ware, who has written extensively on this topic of remote workforces, in his eBook Managing a Remote Workforce: Proven Practices from Successful Leaders, he states that a cloud-based email and collaboration service is a must, along with hosted VoIP telephone systems are “must haves,” as stated in his report, The Future of Work. ViWO team members remember the early days of Hosted VoIP, long before mobile apps arrived. Back in those days, employees who wanted to work from home the next day had to pack their desk phones, bring them home from work, and then carry the work phones with them both to and from their place of work. Thanks to modern technologies, remote workers no longer have to do this. Instead, employees just use an app on their mobile phone while working from home. Server-based email also made working from home very difficult and challenging. VPN access was a requirement, syncing calendars (often shared with a 3rd party desktop app) could create problems, and server space was almost always an issue. These legacy issues have also been resolved - modern email systems and collaboration software like GSuite no longer require a VPN for access. Calendars can now be easily shared from anywhere; and cloud-based storage services means server storage is no longer an issue. With no technological barriers, the only real remaining challenge is a psychological one. How do managers gain confidence that their teams will actually perform reliably, do the work that is needed? How can they be available should an emergency arise where all staff are needed to complete a task, attend to customer needs or respond to requests from management? 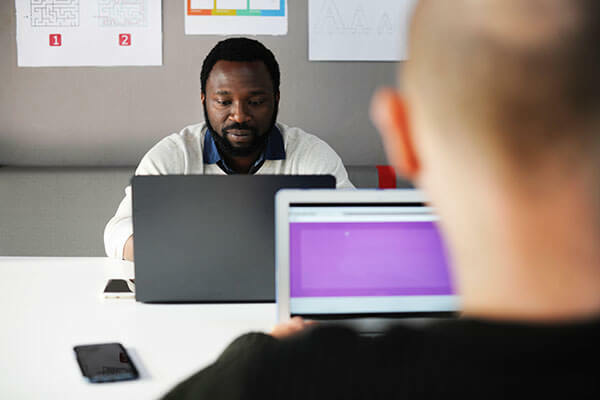 According to Naficy, when VIWO was instituting its work from anywhere program, he actively sought a way to give management and the owners confidence that their remote employees were actually working. A recent article in Forbes talks about this same issue, explaining that most managers and companies are afraid to let their employees work from home, and that this was a big contributing factor to the slow rise of work from anywhere programs actually being implemented. 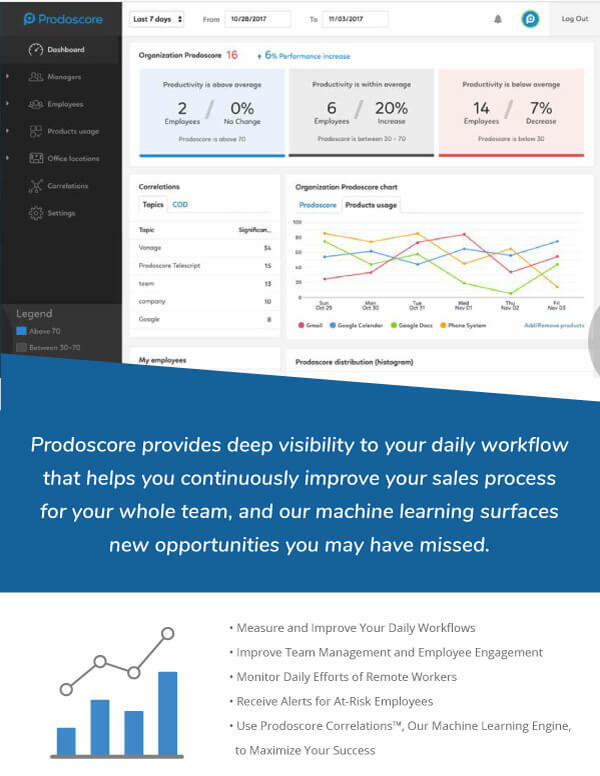 Productivity-tracking tools like Prodoscore exist to ease the worries of management by measuring employee productivity in everyday workplace solutions and assigning “productivity scores” to each employee. Tools like Prodoscore can help management address any potential issues they find in their work from anywhere programs, allowing them to address bottlenecks and see which areas their employees are strongest in. Those who volunteered to be part of the comparison had to have worked with Liang's company, CTrip, for more than six months. Participants also had to have a private room at home where they could work from that had a reliable broadband internet connection. Then, the volunteers were randomly divided into two groups - the ones who would work from home four days a week, and the ones who would remain behind, working in the company's offices. Interestingly, one of the findings revealed from this research is that too much of a good thing might exist. Of those who were part of the work-at-home group, a percentage requested to come back to the office at the end of the trial, at least for some of the time. Their rationale? A loss of social interaction, and a desire to get some time away from the home. For those considering whether a remote working program should be implemented, no longer can it be said there are no quantifiable benefits - the results are in. The only question that remains is whether or not your business will act on them. Contact Prodoscore today to have complete transparency into your work-from-home program.